Rithy Panh is a well-renowned Cambodian filmmaker. He has dedicated his life to the examination of the Khmer Rouge tragedy in Cambodia, a personal and painful enterprise as he was amongst the Khmer Rouges’ victims and lost most of his family during these 4 years of atrocities and killings (1975-79). When he escaped the working camps, he was only 13 years old. After a few months in a HCR refugee camp at the Thai border, he settled in France where his studies led him to start a career as a filmmaker. Since then, Rithy Panh has never ceased to fulfil his need to make sense of the Khmer rouges tragedy. S-21: The Khmer Rouge Killing Machine (2003) and Duch, Master of the Forges of Hell (2012) in particular are fascinating pieces of work for many reasons. 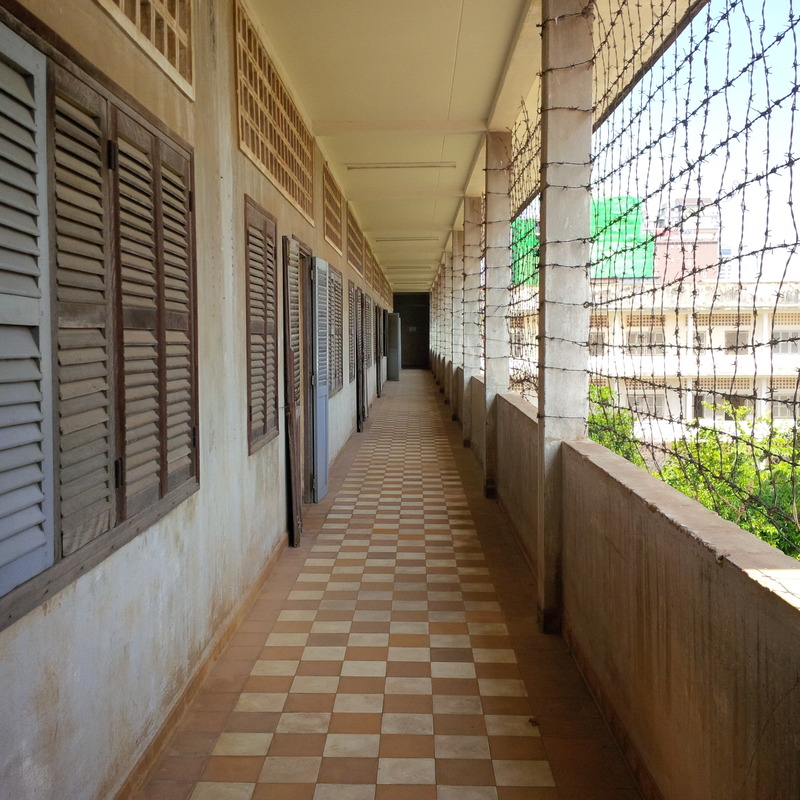 Both investigate the atrocities that took place in Tuol Sleng, the Security Prison 21 (S-21) under the Khmer Rouge. S-21 gathers not only testimonies from the surviving victims of the Khmer Rouge who were held and tortured in this prison. It also gives space to both the memories and voice of the guards and the torturers. In December 2013, I had the privilege to conduct an interview with Rithy Panh in Phnom-Penh (Cambodia). The interview was commissioned by the French academic journal Cultures & Conflits, and the interview was published online in April 2014. The meeting with Rithy Panh took place at the Bophana Centre, an audiovisual resource centre Rithy Panh co-founded in 2006. During our conversation, we talked in length about his approach as a filmmaker but also about Kaing Guek Eav (aka Duch), the head of the Khmer Rouge’s internal security branch, and Khieu Ches (aka Poeuv), an ordinary guard of Tuol Sleng. When we look at things carefully, we understand better. S-21 allows a condensed understanding of this totalitarian regime. To study ideology courses that were organised back then, for instance, is of paramount importance. It is the machinery that explains the genocide. S-21 has defined the methods, who were the enemies”. In the confrontation with Duch, there is something that appeared clearly from the very beginning: he felt superior. He is older than me, more experienced. He spent his life in the prison world: he was a prisoner under the Sihanouk regime, then Director of Tuol Sleng under the Khmer Rouge regime, now he is a prisoner again. He knows the codes, the realities of a prison environment: the tensions, the torture, the executions. He knows that I am working precisely on that, that I am investigating something he has engineered. He knows I somehow need his knowledge”. Rithy Panh clearly acknowledges the ambiguity of his position in this particular context. The filming took place during the his trial hearings, and Panh felt instrumentalised on many occasions by Duch who, obviously, used his work as a practice for his own defence in front of the judges. However, the documentary made Panh realised that he won against Duch. 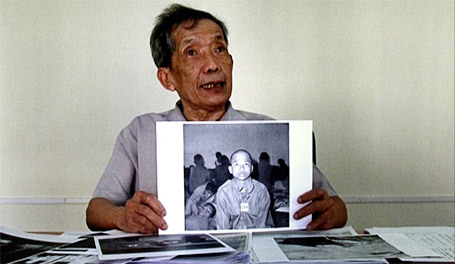 The documentary shows no less than a man, in his own words and descriptions, who subscribed to the Khmer Rouge ideology, who ran one of the most atrocious prisons of the Khmer Rouge regime, who, every single day, reported tortures, executions, inhumane treatments on a register with great amounts of detail and cold-blood comments. Duch has certainly served as a catalyst for Rithy Panh’s investigation and his quest for documents, testimonies and archives. 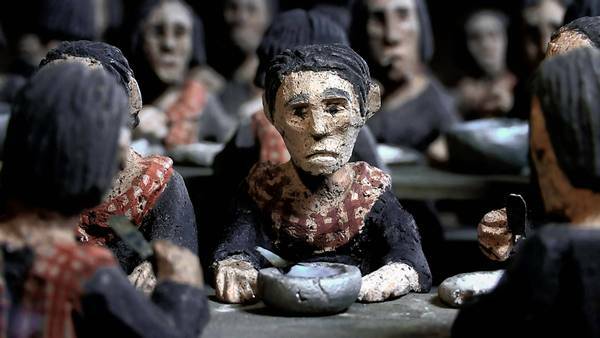 This quest is embodied further in Panh’s latest film: The Missing Picture, released in 2013. I was looking for a way to tell the story of what happened, but I was involved so directly in this tragedy that it would have been very hard for me to make a fiction film”. The Khmer Rouge tried to delete everything. They tried to erase our past, our personality, our land, our sentiment. What we tried to do in The Missing Picture was to reconstruct our identity, to bring it back to the people through cinema”. For the last 25 years, I have worked for Bophana. A face, a name. The more individuals are encompassed in a single unit (the victims of Tuol Sleng, the prisoners of Tuol Sleng), the more I want to restore the variety of their identities. This goal, with more than a million of victims during the Khmer Rouge, is endless. I have only one life, so I have chosen a single face, a single name. I work and make films for her”.